…and then I might get a moment to go get Berns to take a look at this!!!!!!!!!!!!!!!!!!!!!! 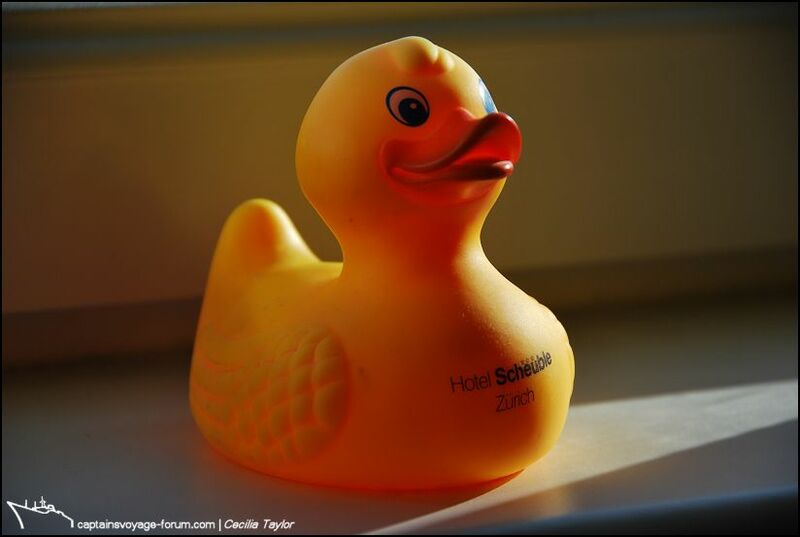 My name is Scheuble and I am a Swiss duck from Zurich now living in Scotland! Seagull says that she forgot to take something called a pakarang view, but will do so later if it is ok for me to post in your thread. 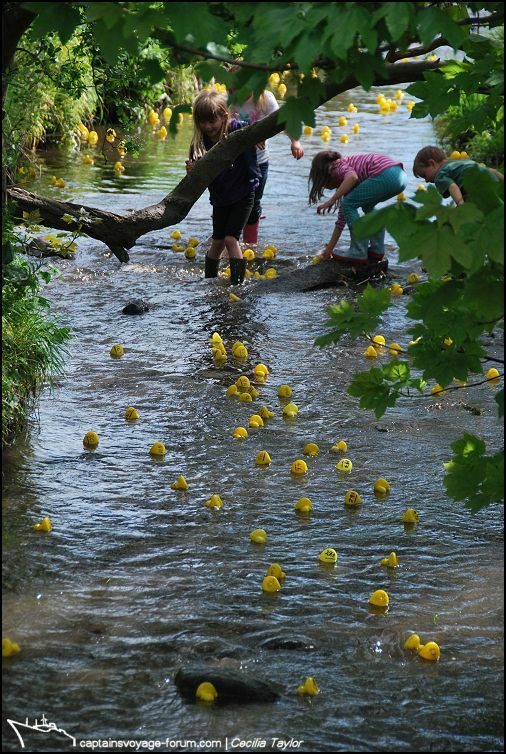 Can I also post a few photos I took this afternoon at an exciting Duck Race in the valley park? –I think Lookchin would be interested in them as he used to go there to have fun in the stream with Berns. That is hilarious.... the world never ceases to amaze me: now, why would Scheuble be born in a Zurich hotel? 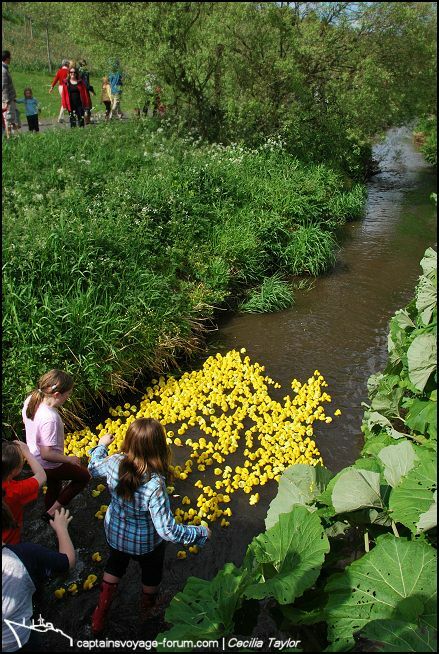 ....Can I also post a few photos I took this afternoon at an exciting Duck Race in the valley park? –I think Lookchin would be interested in them as he used to go there to have fun in the stream with Berns. So is it a yes to these being posted in this thread?...even though there turn out to be 10 of them? That is a most definite "yes", in accordance with the old saying " the more duckies, the merrier.... "
Goody!! 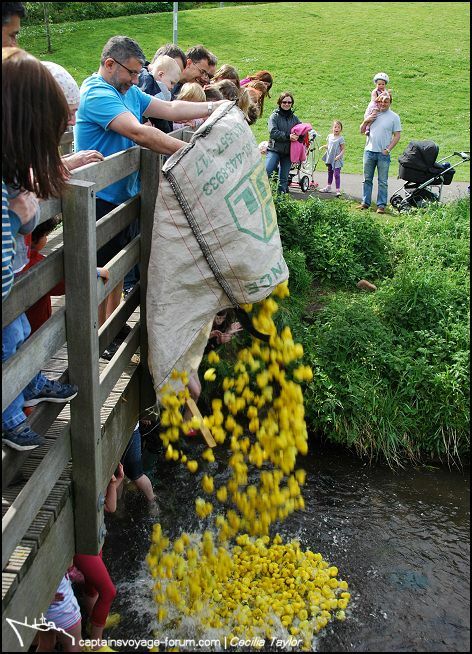 !...there was a whole sack full of ducks in the race!...tell Lookchin and Duckie that the photos will be the FIRST thing I'll post when I return...yes, even before any 366 or ship photos!!!! (I'm now at the airport as you can see on Gowalla...watch out for a new country badge for ENGLAND tonight!!!!!!!! ....tell Lookchin and Duckie that the photos will be the FIRST thing I'll post when I return...yes, even before any 366 or ship photos!!!! I know, I know, these are not the photos most of you are wanting to see just as I have returned home from a cruise! 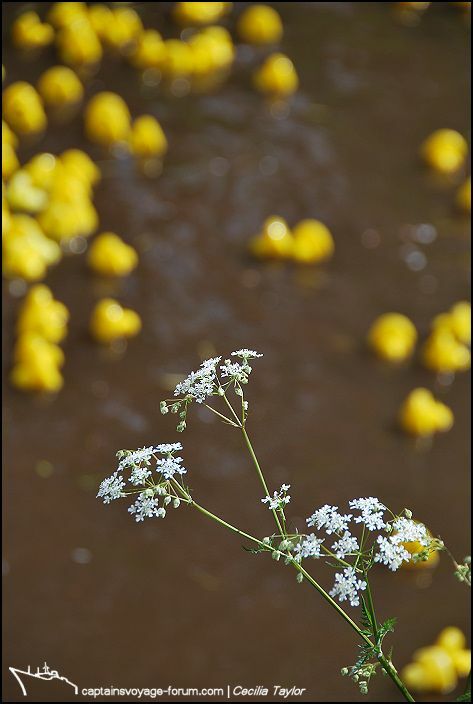 ….but I had these ready to post just before I went away and I’d PROMISED Lookchin and his duckie friends…. 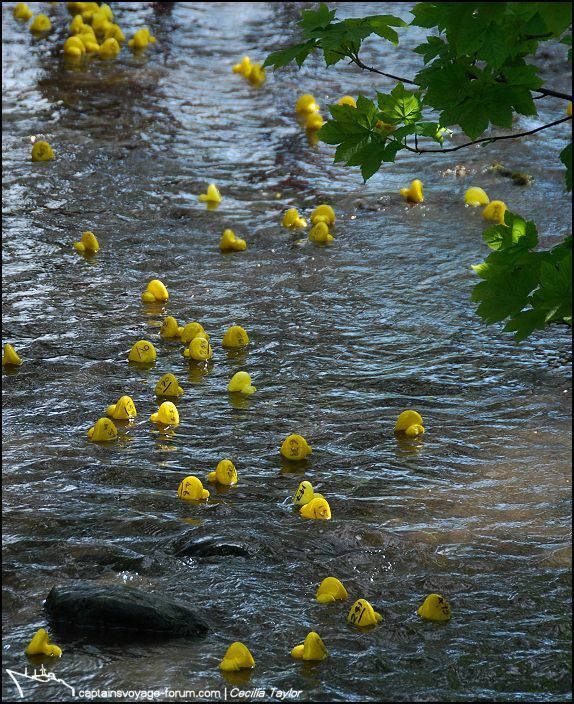 This is the exciting start of the race as sackfulls of ducks are launched from the upstream footbridge. Last edited by Seagull; May 31st, 2011, 13:19. 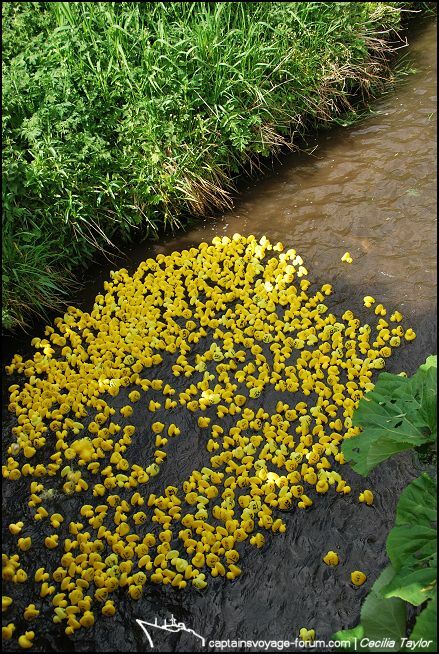 Such a magnificent sight!….what is the collective noun for lots of yellow plastic ducks I wonder –anyway it is an impressive flotilla…. 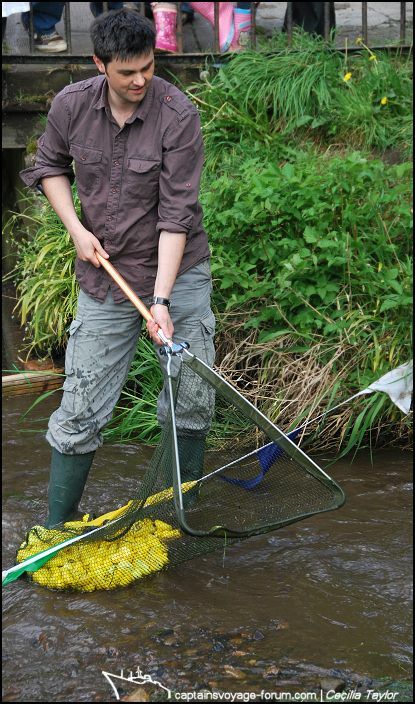 …followed by kids in wellies! Last edited by Seagull; May 31st, 2011, 13:20. 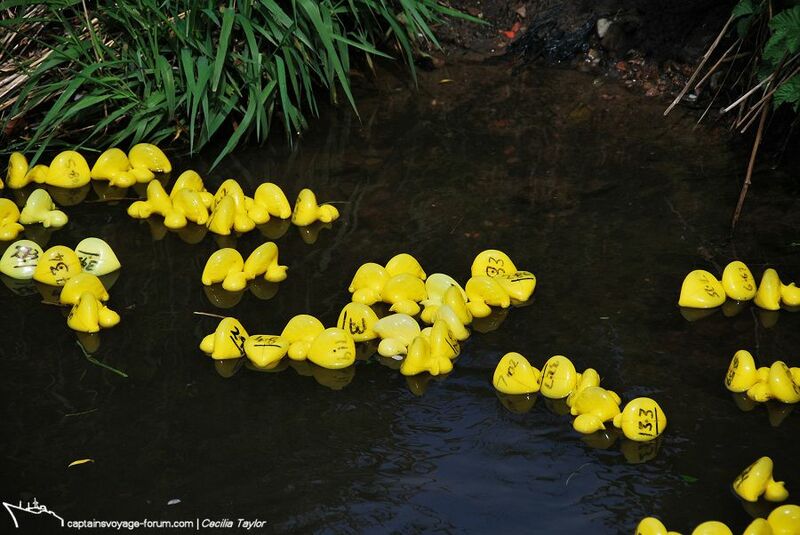 Just as in a F1 motor race, the ducks soon spread out. Those not keeping to the racing line and already stuck in the foliage are relying on the wellie-wearing-“marshals” to get them back on track!!!! 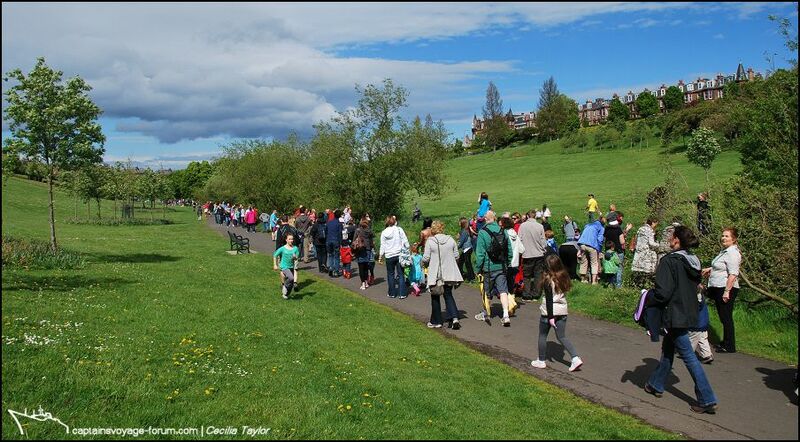 Meanwhile the crowds of spectators line the path, many (that includes me!) running along to see the ducks from various viewpoints. This particular species of plastic duck seems to be a side-stroke swimmer (which is totally unlike my Stockholm Duck “Berns”), but perhaps they are wanting to display their number on their lower “feathers”!!!! Last edited by Seagull; May 31st, 2011, 13:21. This is my favourite image, not just of that particular afternoon, but somehow capturing the delights of flowing streams and messing around in water. The finishing line at the downstream footbridge. 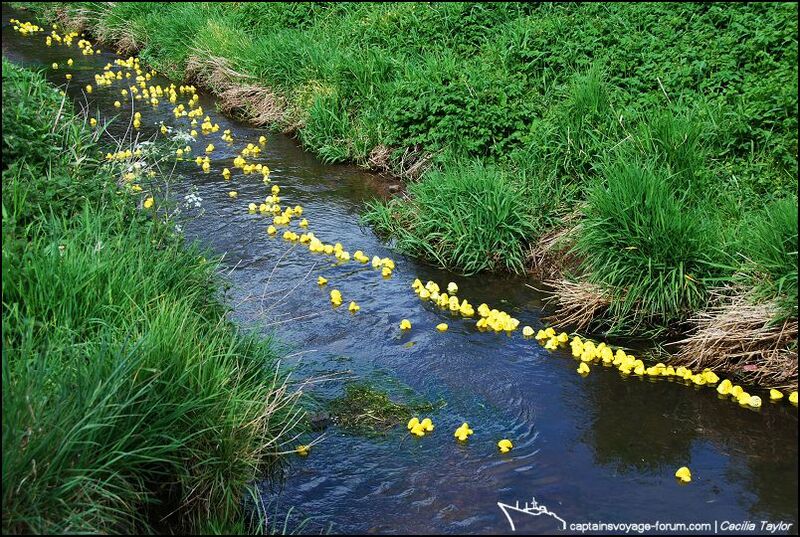 The winner has beaten me there, and net-fulls of other ducks that have completed the course are being collected…. ….to the delight of the excited onlookers! Such a happy summer day. 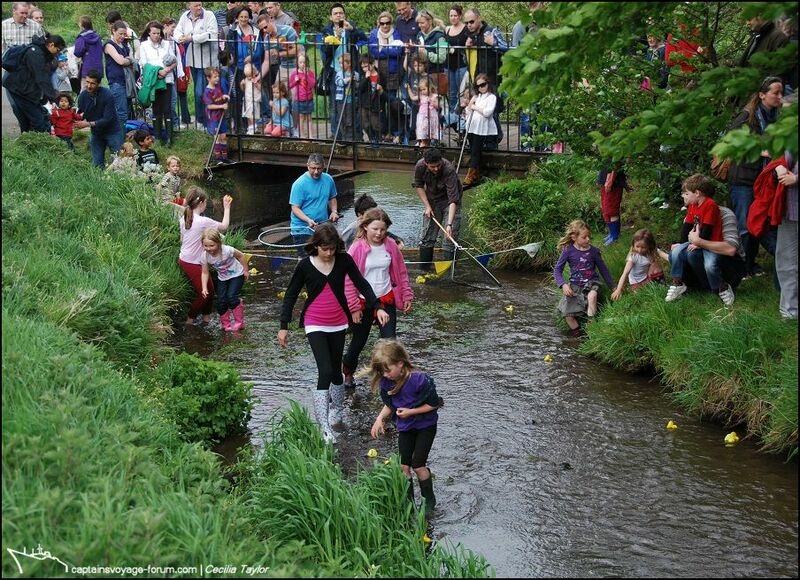 There are several such events held here each year in aid of various local organisations, schools and charities. I had been unfortunate to miss them last year when Lookchin visited me, although that all worked out wonderfully OK in the end. Thank you for the BIG smile you put on my face this morning!!!! Um....were any of the participants able to negotiate the course in "proper" duck position? There seemed to be more than a few who preferred the "unsteady kayak" upside down way of going! All times are GMT+1. This page was generated at 01:23.